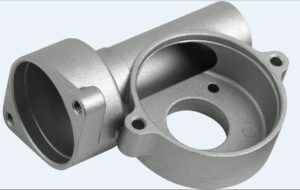 Zinc or Aluminum Die Casting parts is a kind of powder die casting parts with zinc as the main component. This kind of part has a dense surface and a dispersed porous structure inside. Acidic degreaser can not be used, only alkaline degreaser can only be used for degreasing. Most zinc and aluminium parts need copper-nickel-chromium multilayer coating, which requires high decoration. Before degreasing, it is polished by mechanical polishing. So dewaxing (polishing paste is rich in white wax) is a step forward, followed by chemical degreasing and electrolytic degreasing. Because the melting point of white wax is more than 70%, in order to emulsify white wax, the temperature of wax removal water is higher than 70 degrees Celsius. In the past, we only used general chemical degreasing solution to improve temperature to remove wax. This method has long time and low power. Now there is a special wax removal water supply, time is shortened, the effect is better. If we use ultrasound, the effect is very good. Usually wax removal water only removes wax and does not degrease, but also chemical degreasing. The chemical activity of zinc alloy is very strong. The alkalinity of chemical degreasing solution should not be too strong, otherwise it will corrode the appearance. Temperature is usually controlled between 50 and 70 degrees Celsius for 3 to 5 minutes. The products on the market also have a degreaser that combines degreasing and wax removal, and cooperates with ultrasound to achieve good results. The composition of electrolytic degreaser for zinc alloy parts is similar to that of chemical degreaser. But it is necessary to enrich the use of complexing agents. In electrolytic degreasing, zinc alloy die castings should be degreased by cathode at 50-70 C, current density of 3-5A/dm2 and time of 1-2 min. 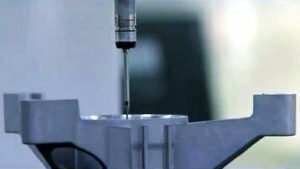 Brown corrosion film sometimes occurs on the surface of die castings under the effect of ultrasonic wave when wax removal and degreasing are selected. This degreaser is not suitable for use. Degreasing agents for zinc die castings should be replaced. Special attention should be paid to this point.